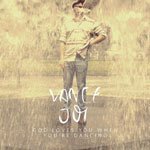 Riptide by Vance Joy continues to be one of the most popular ‘ukulele songs from the last five years. Use this chart to learn the Riptide ‘ukulele chords – they’re simple and there’s also a fun strum to help bring life to the bizarre lyrics. That’s down, down, up, down, up (then repeat). The trick is to keep your hand moving down and up even when you aren’t strumming the uke! If you keep the strumming hand “ghosting” over the strings during the times you don’t play, it’s much easier to keep your momentum and build a groove. To do this, you need to change how you think of the pattern a bit. Your hand is now going to make the motion of: DUDUDUDU in the same space as the “real” strum, which, remember, is: D D UDU. But you aren’t going to hit the strings for every strum otherwise it would sound wrong! Instead, you are going to (while continuing the non-stop down/up pattern) move your hand closer to your body when it’s time to sound the strings and further away from your body when it’s not. For more on this concept, check out the secret to groovy strumming. The ‘ukulele chords for Riptide sound like they have the low tone of a baritone. So if you have one to use, find the baritone shape for these chord names (they’ll be different!) and strum along.